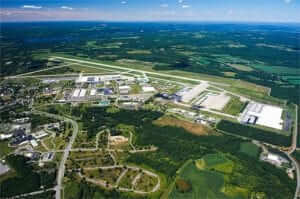 The New York UAS Test Site at Griffiss International Airport in Rome, NY is a highly instrumented test site for UAS technology. NUAIR is finalizing an unparalleled UAS Test Ecosystem which includes surveillance, USS support, simulation capabilities and protected data collection. 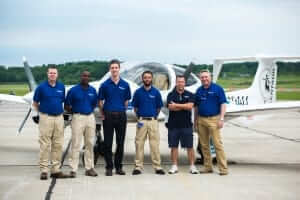 The NUAIR staff includes experienced aviation professionals that are skilled in providing customers with a wide-range of services. Whether its measuring a drone’s suitability for a safe flight (airworthiness), testing platforms and payloads, or helping research and development of UAS by working with NASA and the FAA. The UAS Secure Autonomous Flight Environment (U-SAFE) initiative is a State of New York funded program that will help accelerate the integration of low-altitude, small Unmanned Aircraft Systems (sUAS) into the National Airspace System (NAS). With more than $3 billion in investments in unmanned aerial systems, nanotechnolgy, infrastructure and economic development; affordable real estate; outdoor opportunities; and a comfortable lifestyle, Central New York, Mohawk Valley, Massachusetts and Michigan are locations with opportunities for global competitiveness and business growth sectors to thrive. The NUAIR Alliance provides economic development leadership for the growth of the UAS business sector in Central New York. The Alliance also provides public education about civil and commercial use of UAS. The Griffiss UAS Test Site range instrumentation system provides the foundation for future UAS detect-and-avoid testing in the National Airspace System (NAS).